Vacation rental condominium. Sleeps 10, 3 bedrooms, 2.5 bathrooms. No pets allowed. 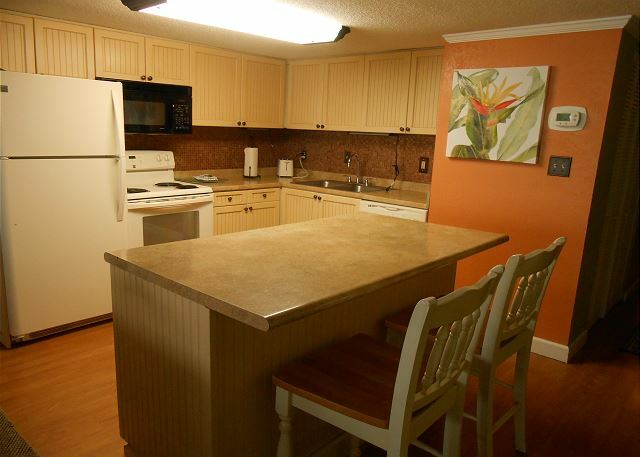 Our spacious three-bedroom condos are oceanfront with fully equipped kitchens. This unit has a king size bed in the master bedroom. Each unit has a washer and dryer. 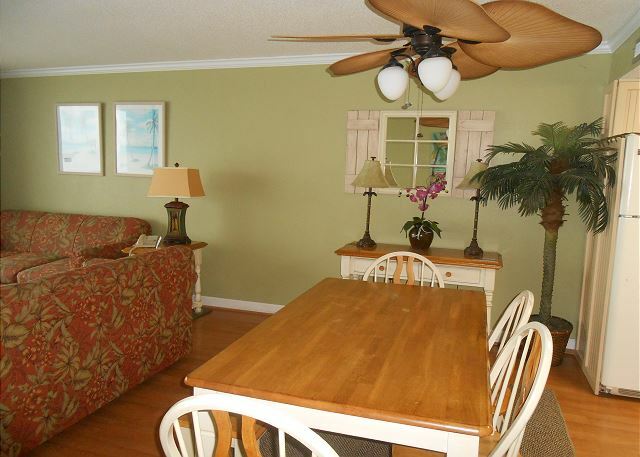 The ocean front balconies are located off of the living room and master bedroom. 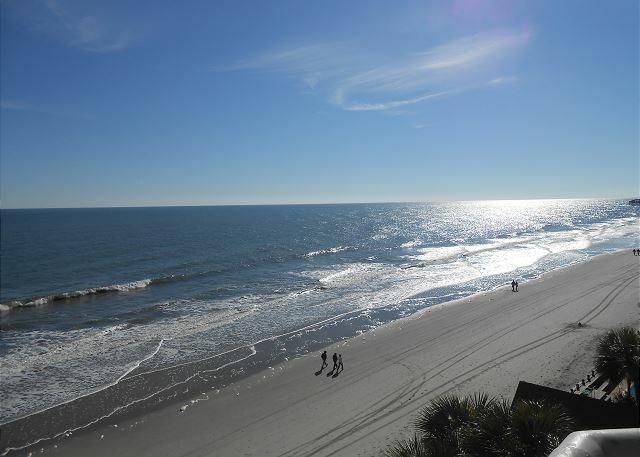 This unit is located on the end of the building fifth floor and overlooking the end of the pool deck but with a great view of the beach and ocean. The living room has a a flat screen tv and two queen size sleeper sofas. 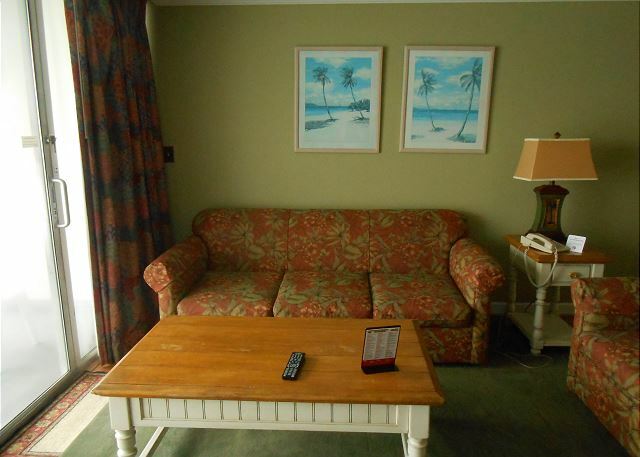 Flat screen televisions are also located in all bedrooms along with ceiling fans. The kitchen has been fully updated with new cabinets and counter tops. A large fan blade type ceiling fan keeps the dining and living rooms air moving nicely. NON SMOKING UNIT with SMOKING ON BALCONY IS ALLOWED.